You have to admire the bassline on this one, don't you? Such a quality track! 80's band Sade have sold over 50 million units worldwide. 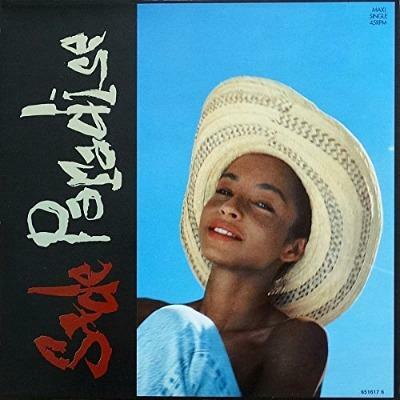 Paradise was Sade's ninth single release and was lifted from the their third studio album Stronger than Pride, which achieved platinum status in the UK and 3x platinum in the U.S. The single reached #29 in the UK, #16 on the U.S. Hot 100 and #1 on the U.S. R&B chart, and was the follow-up to Love is Stronger than Pride, which peaked at #44 in the UK. The vinyl B-side featured the track "Keep Hangin' On". The British and European CD single included four tracks; "Paradise" (Extended Version), "Hang On To Your Love" (US Remix), "Keep Hangin' On" (Live) and "Paradise" (Instrumental). In the video we see a dog and several people walking down stone steps towards a mini mexican street fair in a backstreet with children's rides and swings, alongside sports events such as boxing and basketball. Sade is wearing a Sombrero and picks up a young girl and dances around with her, and both of them appear to be really enjoying themselves. 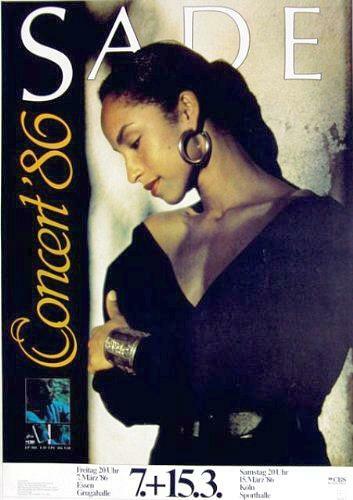 Sade's biggest and most well-known 80's hit was Smooth Operator (1984). In the UK, Your Love is King was the biggest-seller, peaking at #6.